The soft block demi-pointe shoes are made specially for beginners. 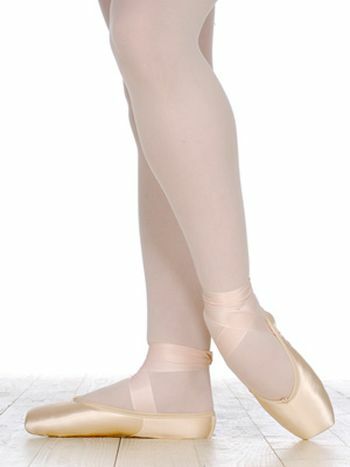 They are strongly recommended for use in preparation for pointe work to strengthen feet and ankles. It makes the fitting of actual pointe shoes easier as well. for 6 months before going en pointe. The shoes are all handmade. They are manufactured from pale salmon satin and a smooth leather sole. These shoes have a ½ box and NO shank..
through our accredited specialist shops in major centers.